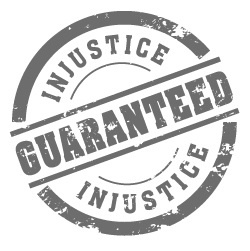 Jubilee Scotland wants everybody to be able to campaign for debt justice, and we are always working to create new resources to help you take action. Here you will find downloadable versions of our briefings, campaign actions and education guides. You can also order physical versions of our resources, and if you would like to talk about campaigning with Jubilee Scotland, or have an idea for a resource we could make please just get in contact! It is now less than a year until the people of Scotland decide on their constitutional future. The debate presents an exciting opportunity for charities and campaigning organisations to reassert the importance of the issues they campaign on and put these at the forefront of parties’ concerns as the parties, politicians, and referendum campaigns themselves look to present their visions of a post-referendum Scotland. 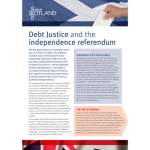 Jubilee Scotland has been thinking a lot about what the implications for international debt will be in either outcome and how its campaigns can move forward post-2014 be it in an independent Scotland or one which remains part of the United Kingdom. Want to know what’s going on in the world of debt? Head over to our blog, where you’ll be able to catch up on debt news from across the globe in our monthly debt developments briefings prepared by Charlotte. 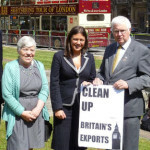 The Clean Up Britain’s Exports (CUBE) coalition has brought out its second (summer) update for MPs, to keep representatives informed and championing the issue in the House of Commons. The issue covers the scandal of UK arms exports to Argentina before the Falklands War, and the export of five Hawk Aircraft to the Mugabe administration between 1989 and 1992. Showing a film is a great way to explain the issue of debt. 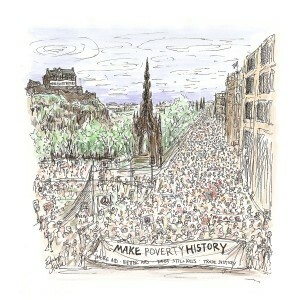 On this page you will find a range of films which you can use in your campaigning work. The Guardian newspaper has developed a new visual resource to show the level of debt of the world’s states. 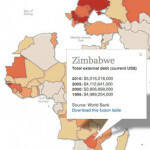 The ‘Developing World of Debt’ map highlights that developing countries still owe $4 trillion, and that 12 countries – Afghanistan, Burkina Faso, Burundi, the Democratic Republic of the Congo, Djibouti, Gambia, Grenada, Haiti, Kiribati, Laos, Maldives, São Tomé and Príncipe, Tajikistan, Tonga and Yemen – are at high risk of not being able to pay their debts. A new website has been launched to keep you up to date with all the latest news about Britain’s department for dodgy deals. Clean Up Britain’s Exports (or CUBE, for short) is the best place to find out all you need to know about UK Export Finance (formerly the ECGD) and the campaign to stop its dodgy dealings. Campaigning for global justice takes a lot of energy – not simply physical, but the spiritual energy that Mahatma Gandhi and Martin Luther King referred to as ‘Soul Force.’ For many Jubilee campaigners, religious faith is a source of this spiritual energy. Jubilee Scotland has produced a booklet which attempts to bottle some of this energy, by showing how Christianity and other faiths fuel passion for fighting injustice. Use it as a personal inspiration to campaign, or share it with your faith group and use it to guide your worship – it is a resource for you. 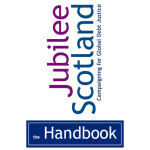 Jubilee Scotland is launching an international debt wiki site. This will connect the entire debt campaign community in one place on-line to share and capture knowledge, experiences, and hopefully ideas and projects. 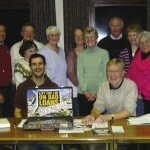 For campaigners in Scotland the wiki will be a place to find out about and get involved with debt campaigns happening around the world, and also to strengthen our own campaigns. A year of celebration in which debts were forgiven, slaves were set free, and alienated lands were returned to their former owners.